"My Dhaka is more than a place, its buildings, its roads, its people. It is a drama in time, where 15 million dreams collide to create a spectacle like no other. I have fallen in love with Dhaka. I have fallen out of it. The traffic, the pollution, the poverty, the bureaucracy! Yet, my Dhaka is full of life and strikingly beautiful. The smiling Rickshawala, the hustle, and bustle of the street, the entrepreneurship spirit, the smell of freshly cooked Biriyani, the Falgun colors! I have traveled the world in search of love and have come back home to Dhaka to find it." We hoped to capture the essence of being in the streets of Dhaka with this project. 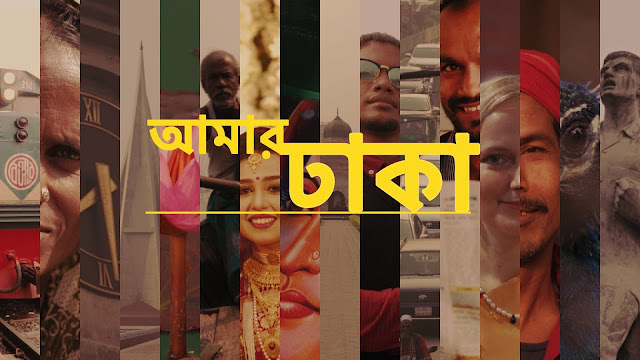 Shot over a period of 10 days throughout Dhaka, Bangladesh. Even though we grew up in Dhaka, we become tourists in our own city. Exploring new places, meeting new people & discovering new experiences.